This was a very very long flight. Named Pole Hole West this flight covered a semi-circle to the west of the south pole around the 88° orbital arc that earth science satellites describe as they pass over Antarctica and beginning heading north again. Miles and miles of flight white desolation. 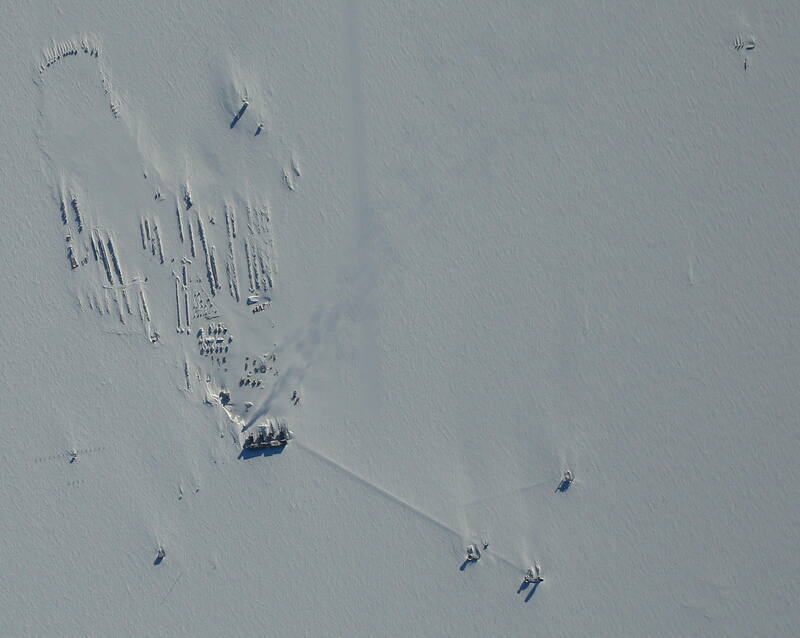 Another successful data collection across the south pole itself. OIB completed the baseline priority Pole Hole 88 West mission. The purpose of the flight was to sample the surface topography at the southern apex of half of all planned ICESat-2 orbits. Specifically, this flight sampled the ground tracks on the west Antarctica and Trans-Antarctic Mountains side of the Pole to provide “ground truth” for every ICESat-2 orbit. Overall, the mission was very successful with good weather throughout the flight. A very thin haze layer was present in the beginning portion of the survey line, but ATM was able to easily range through it. The haze cleared up soon afterwards and clear skies were present throughout the rest of the survey line. All instruments worked well with no major issues, MCoRDS was even able to clearly see layers down to the bedrock on the real-time instrument display due to the clean signal. ATM and MCoRDS also collected opportunistic high altitude data along the transit as well, but ceased transmission during the transit over South Pole Station to ensure the integrity of science experiments on the ground. The MiniRad piggyback instrument was also flown on this mission and looked to have successfully collected good data, with the exception of a portion of the flight line where the mirror stopped rotating for a short time.